Interested in adding an air of realism to your instrument panel? Well, the easiest way to do that is by using instrument faces. You know you can't paint them as good as Airscale can print them. Well, at least I can't. 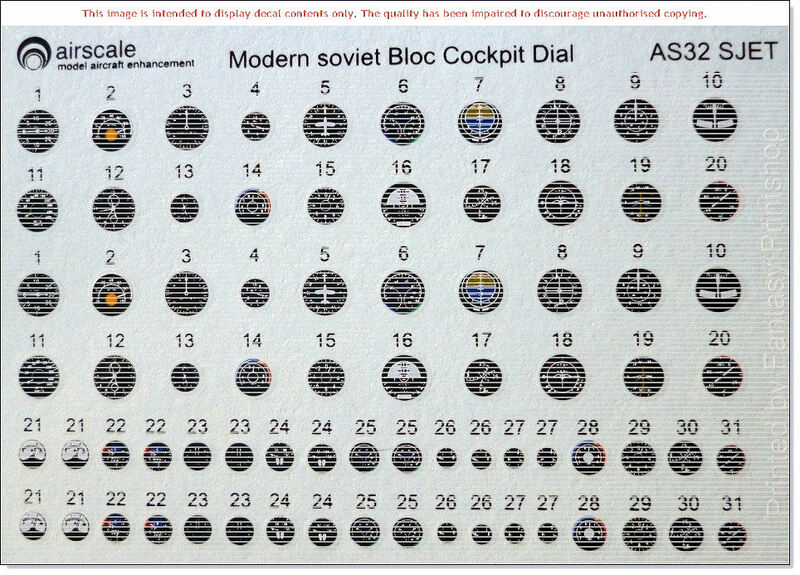 The latest offering from Airscale is aimed at the latest release of Soviet aircraft. There are no fewer than 31 different instruments represented. 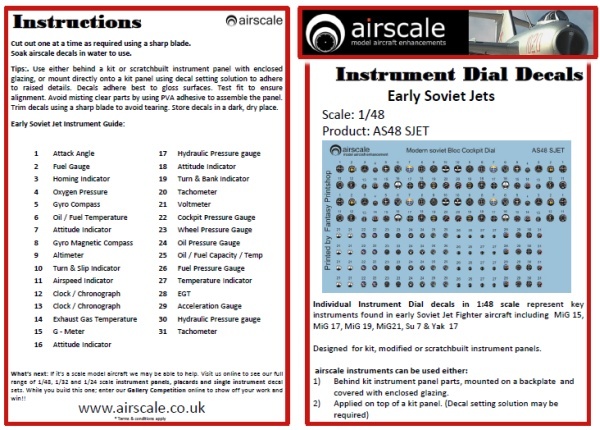 Many of the instruments are duplicated so you can use this sheet on a number of models. The fidelity of these sheets is beautiful. 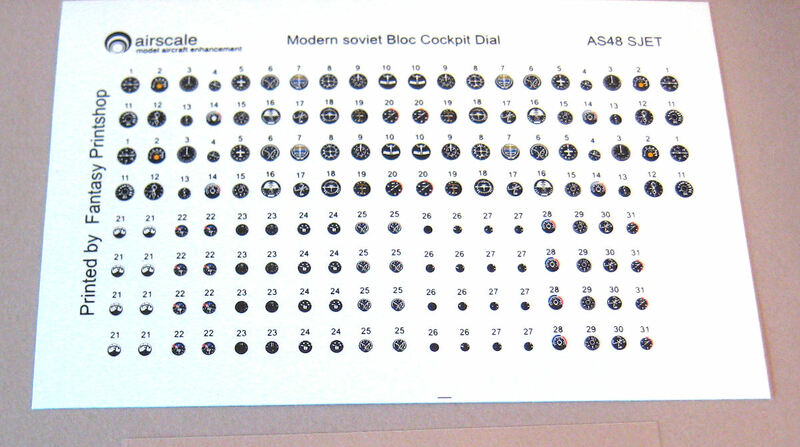 Besides the decals, you also are given a small clear acetate sheet to replicate the glass dial faces. This will require a punch and die set, but it is a nice touch. How to use the Airscale decals is up to you. You can punch them out and add them as a typical decal on the instrument faces. You can add them behind a transparent instrument panel with Future or other setting solution. You can also add them behind a scratchbuilt instrument panel. So, with so many options for their use and extra dials, these decals are very easy to use. They provide a really nice addition to your instrument panel and liven up the cockpit easily.